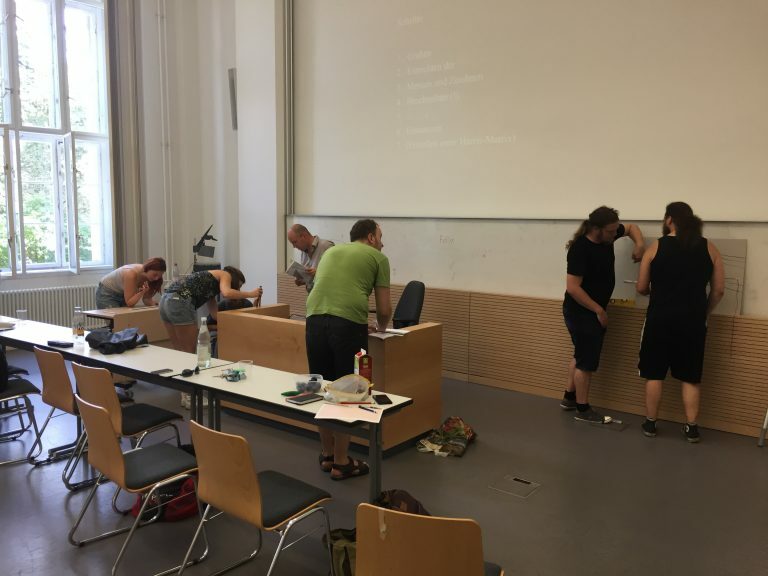 At the Winckelmann-Institute in Berlin, participants and students take part in preparations for the excavations. Each year, different subjects are in the center and are being taught. 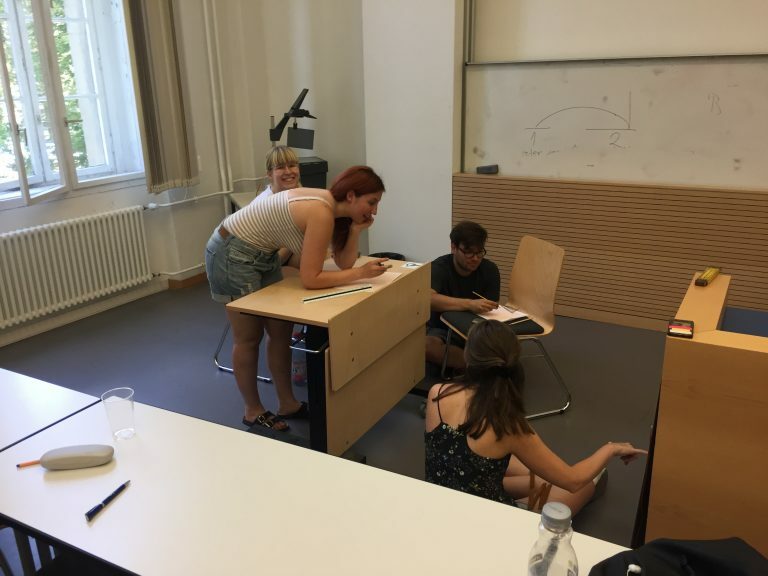 In the preparations for the 2018 campaign, profile drawing was the subject, due to the fact that the students and participants would benefit greatly from learning this aspect of archaeology. 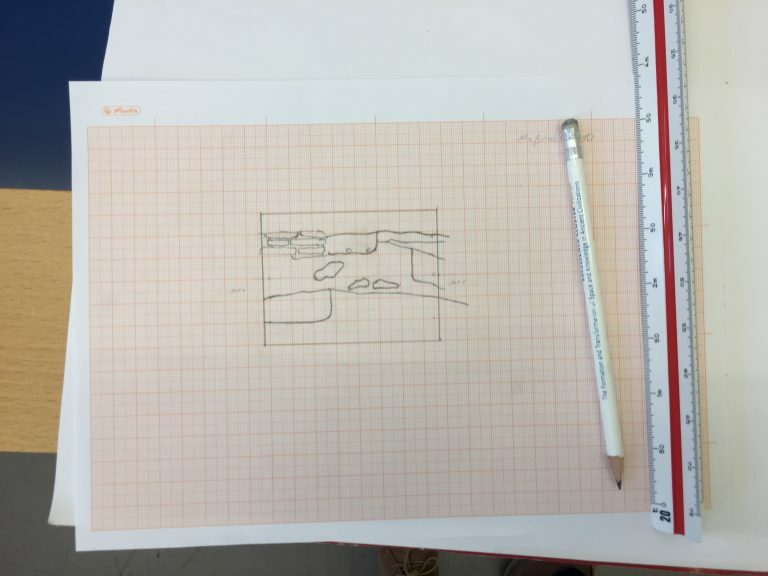 First of all, the excavation of 2018 will need almost all participants for profile drawing since many profiles are to be drawn in the attempt to distinguish the many different layers from Late Antiquity and several centuries back. Second of all, the eye catches details, which are very difficult to see on pictures. 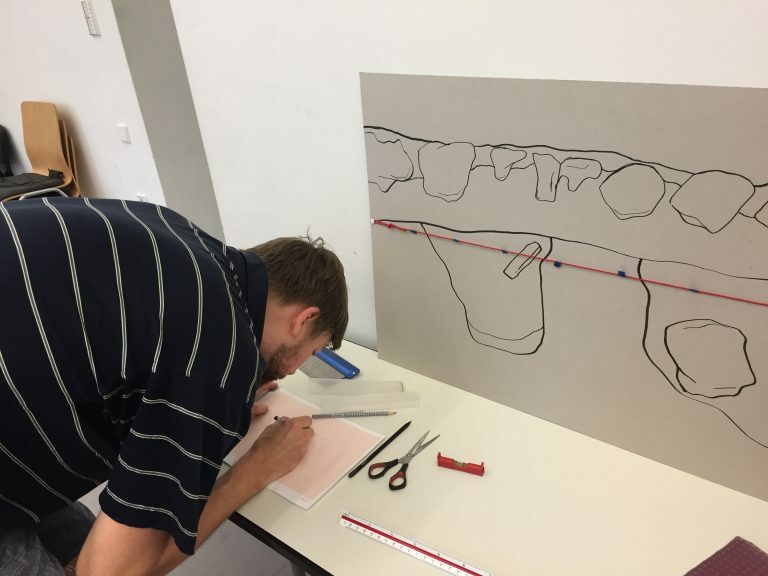 It is therefore important that we get a first hand view of a profile and the relation between the different layers. 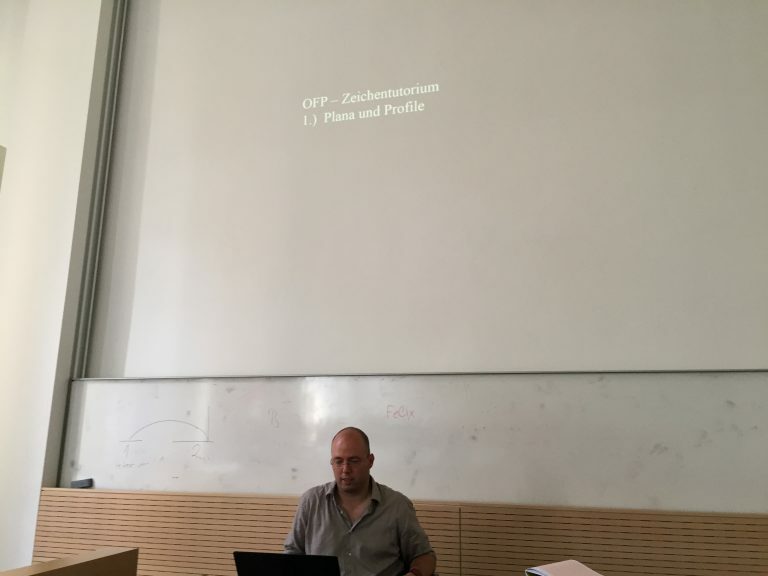 We therefore agreed a 4 hour course with Felix Hülsebeck, who has been part of the Ostia Forum Project and its predecessors since 2011. 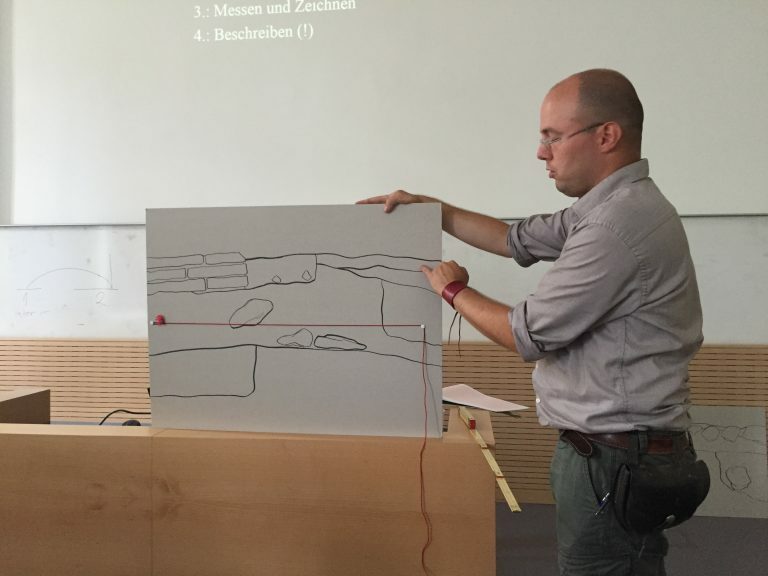 Felix works professionally with profile drawing in the Archaeology of Berlin-Brandeburg, which puts him in a very good position when teaching novices. 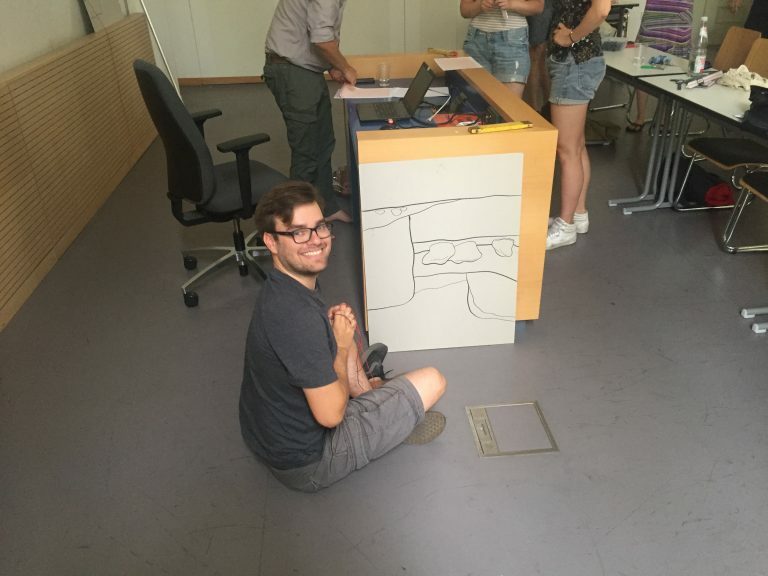 Below you can see Felix introducing the students and participants in profile drawing. 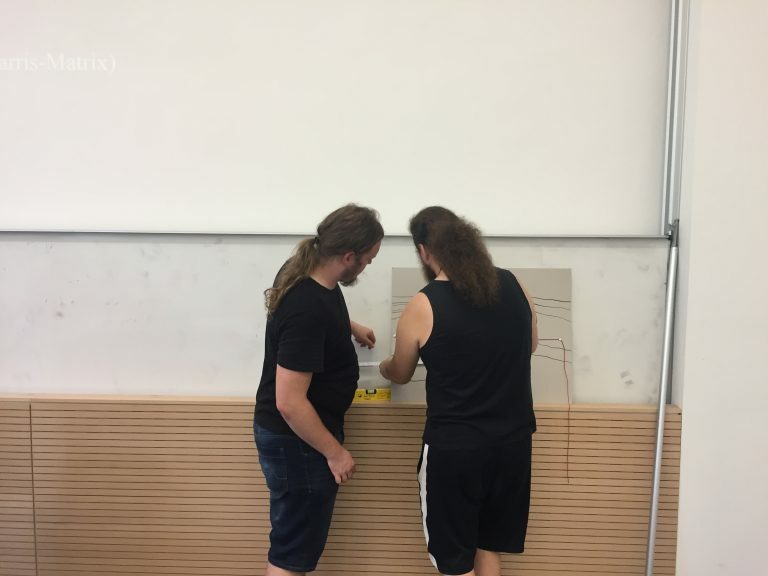 After introducing the students and participants for the importance of drawing profiles, he initiated a workshop, where the students and participants were to draw some fictive profiles made by Felix. 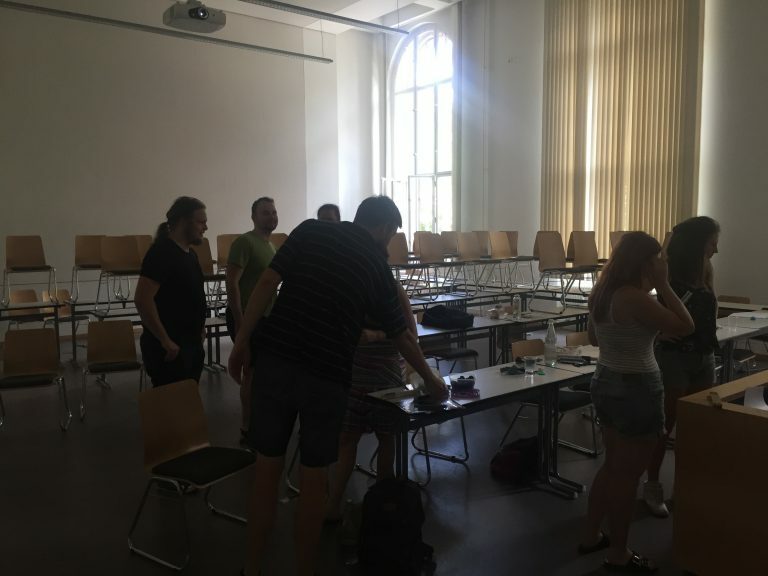 The students and participants were to group up in threes, where two would work at the profile measuring and a third person would draw. It was encouraged that they rotated. The two persons at the profile use a line of string from there they could coordinate their way through the profile. One of the final results can be seen on the picture below.